This is the Signed original Gouache painting by Wilf Hardy. 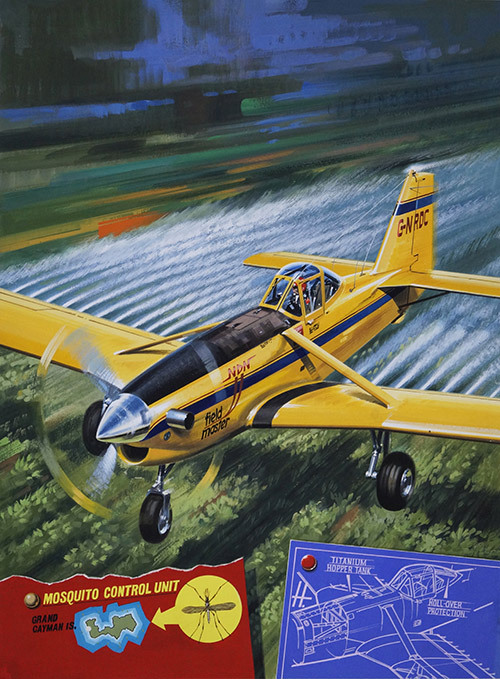 The Title 'The Pest Patrol' stood boldly over this beautifully illustrated HDN Fieldmaster, a low-wing aircraft designed for crop spraying and for putting out fires. This is the exact same 'H' that Hardy used for his articles entitled 'Hardy's Drawing Board' inside the Look and Learn magazines, which would give further insight into these machines. 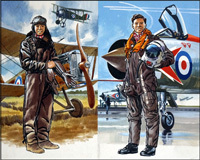 This large painting by Hardy appeared on the front cover of Look and Learn magazine no. 1032 (19 December 1981).